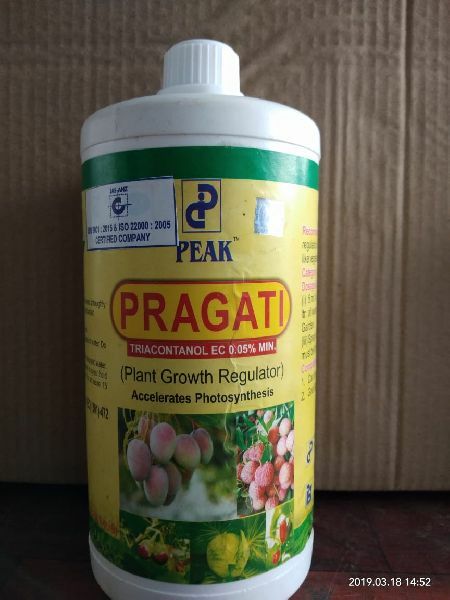 Recommendations : Tricontanol 0.05% EC, a plant growth regulator is recommended to increase the yield of many crops like vegetables, Mango, Lichi, other fruits Tea Garden etc. 5 ml. in 16 ltr. of water for Agriculture use.